It's cold and rainy in Sydney tonight which is the ideal weather for a lazy night in on the couch. 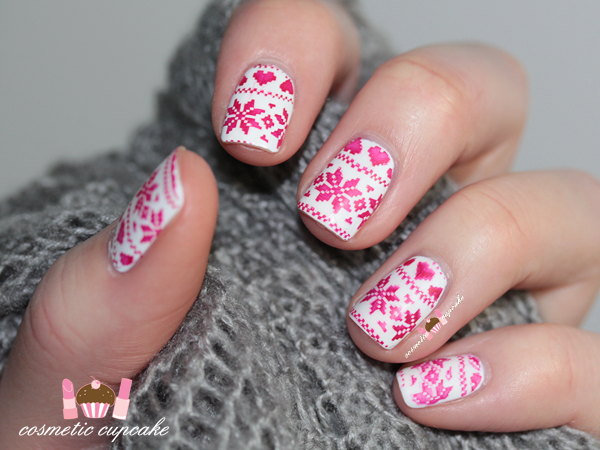 It's also the weather for a sweater manicure! I haven't polished my nails in like 3 weeks and when I don't have time I like to do a tried and tested mani and the cheats way is to stamp. I did this exact same combo when I first hauled my Nailz Craze plates but I never posted it on my blog so it was time to recreate the mani! I used 2 coats of Cult Nails Tempest as my base and stamped sweater design from Nailz Craze plate NC03 using Scratchers Iron Red stamping polish. I decided to mattify it and and covered it all in a coat of Essie Matte About You. It's by far my favourite matte topcoat but my bottle is soooooooo old I had to I had to add a few drops of Seche Restore to it haha. I think it's about time for a new bottle oops! I hope you're all having a fab weekend so far! 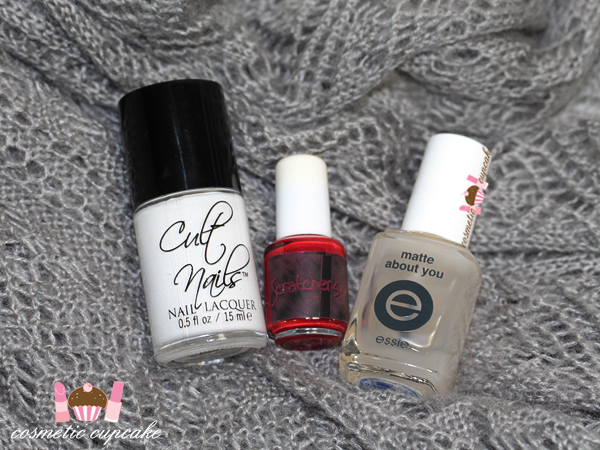 Thanks for looking as always and don't forget to enter my last belated 4th blogiversary giveaway here! 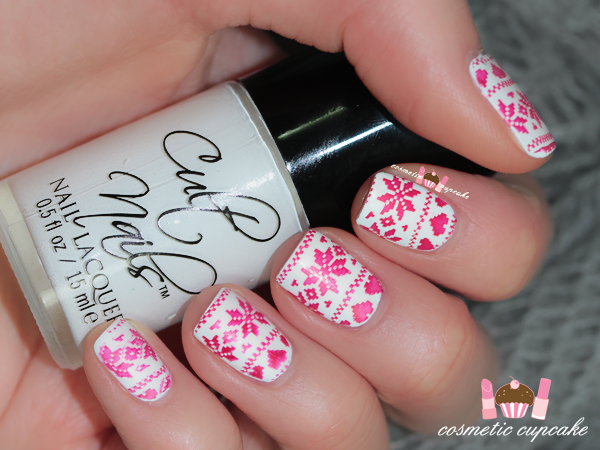 Oh this is lovely and I can definitely see this on my nails for the cold Swiss winter! It would be absolutely perfect for Swiss winter! !